Sailing is hard. It’s one of those hobbies enjoyed by only select few people, but there are enough of them that it isn’t necessarily niche. In Canada, sailing is kind of a big deal. There are huge lakes and an ocean on either side of the country, so it’s not surprising that we put a sailboat on our dime because it went really fast once. On a more personal note, the town I grew up in was really big on sailing, so to say I’ve always been somewhat intrigued by the world of wind-powered boats would be an understatement. I never let that minor curiosity get the better of me because, well, it’s confusing and expensive. 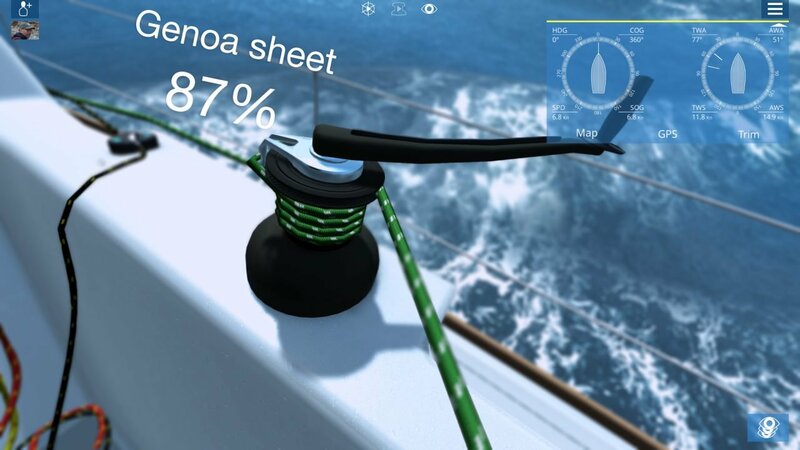 So, it interested me to see an actual simulator that let me live out my sailing fantasies. Orbcreation’s Sailaway claims to be the most accurate sailing sim on the market, and that may be the case for this Early Access title. Simulators are a weird genre. They’re insanely accurate, but also come across as extremely complex to those stepping in from the outside, and that’s where most problems come with Sailaway. The way a ship sails is pretty simple from a basic standpoint: lean into the wind and adjust your sails accordingly. The only problem is, there’s not a lot of real feedback regarding your position. Sure your boat is moving, to an extent, but since players are out on the ocean with very little landscape around, it can feel like players are making no progress at all. Though this is an Early Access title, so that is an issue that could be addressed. There’s a little more that goes into it, however. If players try to fight with the wind, the ship won’t move at all, and at least then there is a sound cue to try to adjust. I found it difficult to really tell which side the wind was on, and even then I felt like I was on a set track more than actually sailing the seas. That wasn’t the case, however, because my direction and speed were controlled by a series of ropes that expands and contracts the sail itself, much like actual sailing. The only issue is, when people actually hit the waters and sail, they can feel the wind and adjust accordingly; video games are inherently at a disadvantage in this regard. Still, even with those frustrations, Sailaway is a really relaxing game to pop on. The mix of wind and water sound cues make the player feel as if they’re on the water, drifting about with no real goal in mind. And in that way, Sailaway is a success. 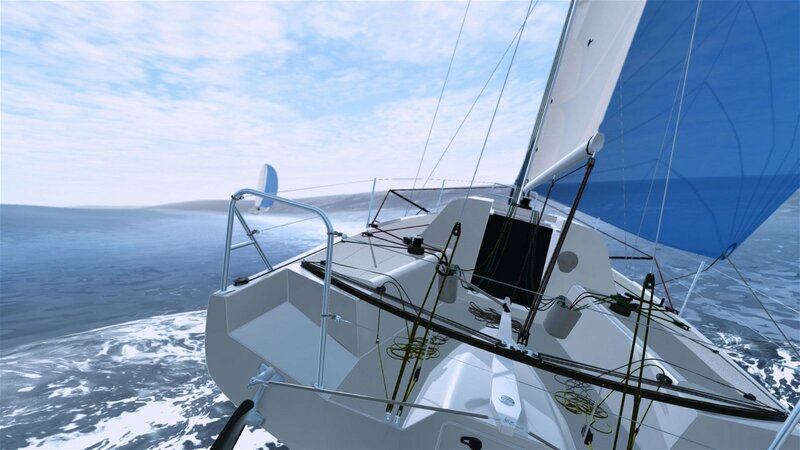 Especially for an avid sailor or for someone who is very interested in the activity, there is a lot to do. From the sheer amount of boats to choose from or the many modes to play, Sailaway is jammed with content. There is a race mode that doesn’t really give direction and takes literal minutes to start. Though I didn’t have the patience for it, I can understand how someone would enjoy it. 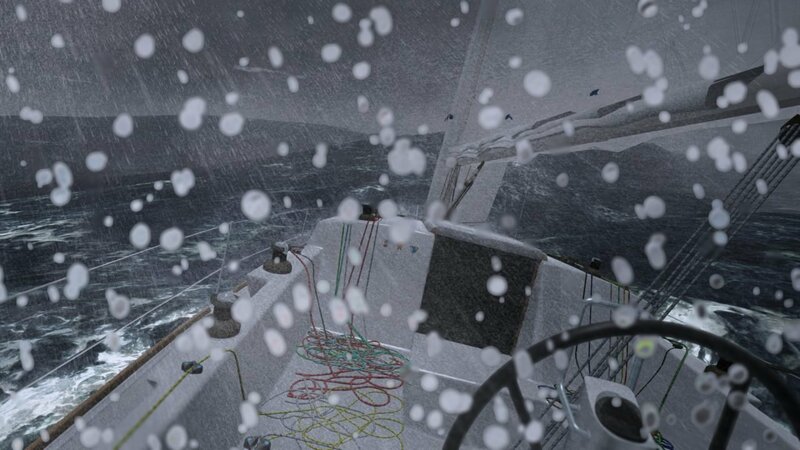 Along with the different modes is a variety of weather options that change the way players sail. This makes for a pretty diverse play through no matter how long you play. This includes day and night cycles, along with varying wind and rain conditions. The game even tracks your distance and sends daily progress emails. It’s obvious that a title like Sailaway isn’t for someone like me. And for other likeminded individuals, The Legend of Zelda: The Wind Waker still might be the best option. But for those who actually enjoy the activity and are looking for a simple way to relax without hitting the waters, Sailaway might be for them. Just don’t expect a very detailed experience.